When you marry for a spinoff, you… um, well the drama never ends! That is certainly the case with Bethenny Frankel and her ex Jason Hoppy who are currently in court battling over stalking and harassment charges! The drama began after their FOUR-YEAR divorce finally wrapped up. Bethenny reported that Jason was consistently sending her a barrage of nasty texts, FaceTime calls and emails. After Jason publicly confronted her, the Real Housewives Of New York star called the police and had him arrested for stalking and harassment. Further charges followed when he still didn’t stop. Yesterday Jason was back in court where he decided against accepting a proposed plea deal. Remember when we thought Jason was the normal one? Now it’s more of a case two wrongs don’t make a skinnygirl right! Bethenny Frankel Suing Attorney Over Apartment She Shared With Jason Hoppy! You’d think Bethenny Frankel would be completely over dealing with attorneys, courts, and ex-husband Jason Hoppy after her extremely acrimonious 3-year divorce, but not so! 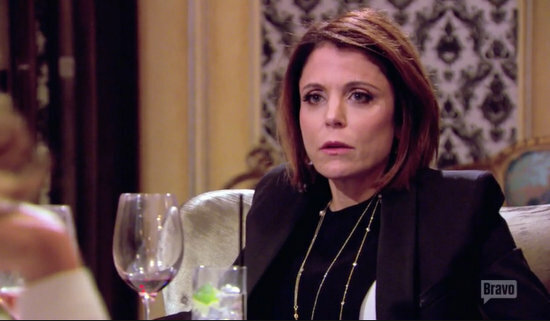 Instead Bethenny just filed a $2 million dollar lawsuit against her former property attorney. The Real Housewives Of New York star claims that Jason with the aid of an attorney screwed her in the purchasing of her $5 million dollar Tribeca condo, the ownership of which was at the center of their super messy divorce. Did Jason Hoppy Enlist an Investor To Help Him With His Divorce Proceedings Against Bethenny Frankel? While I am beyond thankful that Bethenny Frankel and Jason Hoppy have finally come to a custody agreement regarding daughter Bryn, there seems to be no end in sight when it comes to finalizing their divorce. I am not at all shocked, as it seems these two are out for blood. Yawn. The pair first filed for divorce in January of 2013, so it's been well over a year that these two have been fighting. The alleged main issue? Jason wanting a pretty penny for helping build Bethenny's Skinnygirl empire. Well, I can honestly say I never saw this coming…or at least, I never thought a resolution would come as quickly as it did…a year and a half after it started. Are you sitting down? Okay, I'll give you a second to find a chair. Ready? Bethenny Frankel and Jason Hoppy have finally settled their custody dispute over four-year-old daughter Bryn. I know, right? I, too thought their nasty battle would last at least until the poor child was in high school! Thankfully, the litigious former reality couple was able to settle their differences. While the settlement terms are sealed, it seems that Bethenny may have conceded a bit. Bethenny Frankel Advised To Settle Custody Dispute With Jason Hoppy To Avoid Damaging Her SkinnyGirl Brand Further! Bethenny Frankel's custody dispute with ex-husband Jason Hoppy went to trial this week and things got extremely heated with lawyers for each party accusing the other of horrible misdeeds. Bethenny took the stand to testify against Jason and accused him of threatening her and mocking her in front of their daughter Bryn. She also accused him of refusing to flush the toilet! And pointing out that there was negative PR about her. Cause, like, duh… Anyway the entire experience was traumatic for Bethenny. Umm… excuse me for pointing out the obvious, but isn't the true victim here Bryn? The couple reconvenes in court next week where Bethenny will be cross-examined and Jason will take the stand. Unfortunately sources say things aren't looking good for Bethenny who is fighting for primary physical custody and sole legal custody while Jason is requesting joint. Bethenny Frankel And Jason Hoppy Meet In Court For Contentious Custody Dispute; Bethenny Takes The Stand! After over a year of arguing about custody for their 4-year-old daughter Bryn, Bethenny Frankel and Jason Hoppy have finally ended up in trial. Bethenny is demanding primary custody, while Jason is fighting for joint. The former spouses are locked in a contentious argument that led to bitter finger pointing that frankly (no pun intended) makes both of them look like crappy parents! It was rumored that their attorneys botched up a filing to make the courtroom proceedings private and the press would have free reign – well that appears to be the case! With both spouses repped by famed divorce attorneys the argument became about who is the biggest famewhore, sadly. Bethenny's attorney Allen Mayefsky portrayed Jason as the vengeful ex, spiteful over losing the limelight when Bethenny filed for divorce, thus ending their reality TV career. Which seems odd considering it was widely reported that Jason refused to sign on for a third season of Bethenny Ever After as Bethenny was already pursuing her talk show (now also canceled).